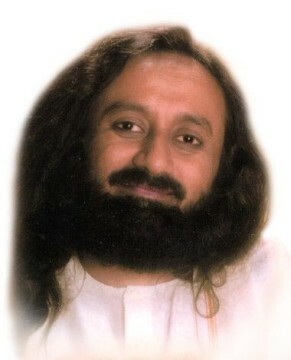 Gurudev, how do I forgive those who have abused me emotionally and physically. I still have to deal with these people daily? Sometimes I feel like killing them but even that doesn’t seem like enough punishment for them. I want you to forget about those abusers. I want to ask you, haven’t you caused some pain or hurt to someone else knowingly or unknowingly, willingly or unwillingly? You have. If others hold on to it for a lifetime and go after you, how would you like it? My dear, if someone has abused you, they have been ignorant. They have not been in knowledge, they were egoistic. So it is because of ignorance and some hurt inside them, that they have caused it to others. See it from a wider lens, from a different perspective. You will understand that they don’t have knowledge. They are not happy. A happy person will not come and harm anyone else. If someone is harming others, it is because they are not happy, not centered and they don’t know what you know. Consider them as sick people. If someone is physically sick, do you get angry at them? These people are mentally and emotionally sick, they are spiritually sick, and if you hold a grudge against them, you will also become one among them. You will get sick. For your own sake, you should let go and move on. When you get hurt, it is not only the other person at fault, it is also your ignorance and your naivety. You have not been intelligent enough, or intuitive enough to avoid it, or move out of it. So take a little bit of the responsibility on yourself as well. If you had been strong and skilful, nobody could have abused you, you would have not even got into such company. Come on, take some responsibility on yourself. You have made some mistake. So when you see a situation from a very different perspective, atleast you will become calmer. Forgiving others is not for their sake, it is for your own sake, for your mental health. That person is going to die anyway. You don’t have to take the trouble of sending them to heaven or hell. If you send them earlier, you will have to go to prison. Just remember, they will go with their own train ticket or flight ticket. They have their own time to go. But if you hurry and try to send them earlier, you will be stuck in prison for the rest of your life. So let go of the past. There are people who are violent and abusive, it is part of this world. If you say, "Why is this thorn pricking?" Well, that is the nature of a thorn, you have got to be careful. Don’t put your finger on it. You're not being careful is the reason for your getting hurt. 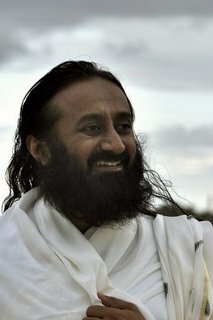 If you take even 5% responsibility, your mind will be at peace. But if you think everything is the other person’s mistake, you are only harbouring them in your mind and heart, and you will not be any better than those people. You will be harming your surroundings as much as what they are doing to you, without your own knowledge. So we should be aware, and we should also take some responsibility for our experiences. If a new slipper bites you, will you start biting it back? There can be nothing more foolish than that. Drop it and move on. Life is too short to keep thinking of the people who hurt you. The world is very large and there are all kinds of people here, the good ones and the bad ones. All kinds of trees are found in a garden, so life is a mix of everything. Wake up and see this. How long are you going to live with all these likes and dislikes in your mind? Where will this lead you? When a person’s end comes, he will go anyway. What is the hurry for you to send him to heaven or hell? Acting in haste and doing something to them will keep you in jail. There are so many such foolish people who have landed behind bars. So many cases of abuse of mothers-in-law by daughters-in-law. Earlier, people used to pray that they should get good daughters-in-law, but these days, most mothers-in-law are worried about what kind of daughters-in-law they could end up getting. If you look at some of the female prisons, you will be surprised to find some of the old women there. They are from such good families. You would never believe that they could have abused their daughters-in-law. The girls accuse them falsely of dowry cases or other crimes just to send them to prison and out of the house. Let them eat there in prison. You will get tears in your eyes if you see some of them. In the jails in Pune and Delhi, where we were conducting some of our courses, we saw the women’s prisons. There were 70-80 year old women there looking so sad. We heard stories of how some of their sons fixed CCTVs in the house and found out that it was their wives who were actually abusing their mothers who were falsely accused and sent to jail. Until we incorporate spirituality in our lives, such things will continue to happen. Between husband and wife, mother and son, etc. Just educating our children doesn’t ensure that their life is good. Unless we inculcate moral and spiritual values in them, they will not be able to lead happy lives. Neither will they be happy nor will they be able to spread happiness around them. Even this has to be learnt you know, i.e., how to be happy and how to spread happiness. That is why spiritual education is very vital. I understand that whatever a person faces is related to some past life karma. 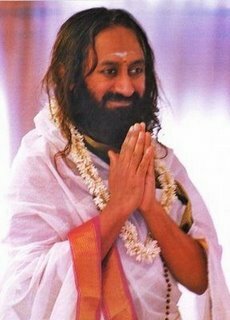 But when the person is good in the current life, why should he or she face all those old painful karmas? Just understand, you cooked food in the morning. By afternoon, you had forgotten that you cooked the food and found the food very spicy. Then you can't say, "Oh, I put spice in the morning, why is it spicy now?" You ask this question only when you are in trouble. If you have invested your money and now it is giving you lot of benefit, you don’t ask, "Why is this happening. Why am I getting my money now?" You invested and the interest is coming now. You sowed a mango seed and today it is giving you so many mangoes. You planted a coconut tree and it is giving you one coconut everyday now. You don’t ask why is it giving coconuts now? You planted some vegetables, and you will enjoy them when they grow. That time, why don’t you ask, "Why is God not in the present moment, and why is he giving me the beans I sowed three months back?" Come on, wake up. Children are not born in one day. It takes nine months for a child to be formed. So time is part of this Universal phenomena. In fact, phenomenon cannot happen outside the dimension of time and space, and any phenomenon is karma.